We use only 1/4" solid HARDWOOD stock, NEVER thin, stick-on veneer and NEVER "plastic" pieces. 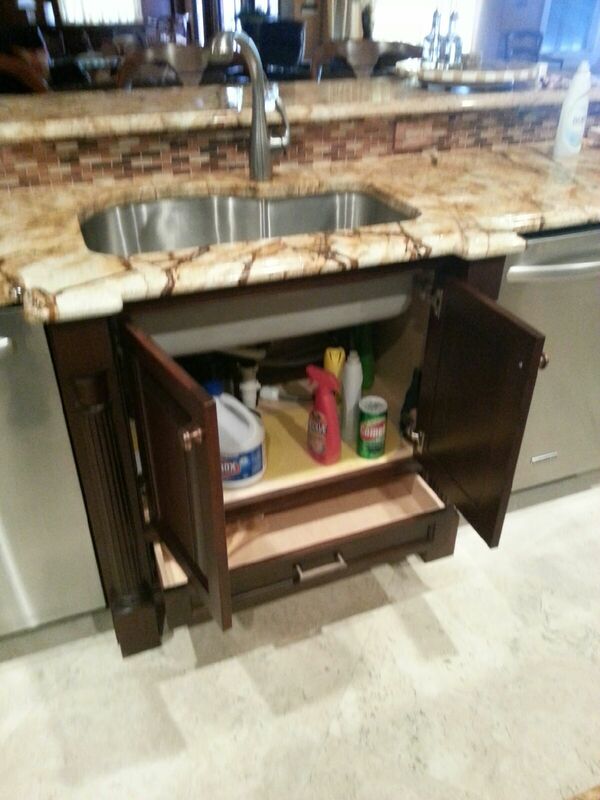 We cover the cabinet fronts (faceframes) and cover the sides and island fronts with wood panels. We'll add crown and other various mouldings to enhance the new look of your kitchen. We've been painting our own cabinets for years, and began using waterbased systems before the "green" movement began. Our paints are specific to the cabinet industry to be tough enough to stand up to the rigors of a lively kitchen, and put on in both a spray and brush application, depending upon the desired look. We include all door and drawer handles, knobs and pulls on every project. If a client wants to buy others, they buy 'em and we install 'em. Certainly no one is surprised that you have a refrigerator in your home, but some people want the fronts blended to make it look more like cabinetry. If this is what you want, then yes - we absolutely can make integrated panels for your appliances (if the appliance is a panel-ready model)! From simple to multi-layered, crown moulding is used not only to dress up the top of your cabinets, but it has the added benefit of making the ceiling appear higher. 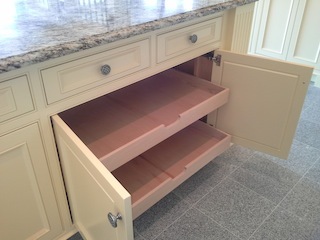 We feel base cabinet bottoms shouldn't be ignored, and whether it's a regular toe kick you want, baseboard look, furniture-style feet or a different style, the mouldings we use bring a more upgraded look to your base cabinets. We add a light rail moulding to nicely finish off the bottom edge of the upper cabinets. What's your choice?...shaker style?...traditional?...contemporary? We'll bring sample door styles with us when we visit your home, where you can choose from these or have a different profile completely. All our cabinet doors and drawer fronts are made of solid wood (but our paint-grade pieces have mdf panels in the middle for stability). 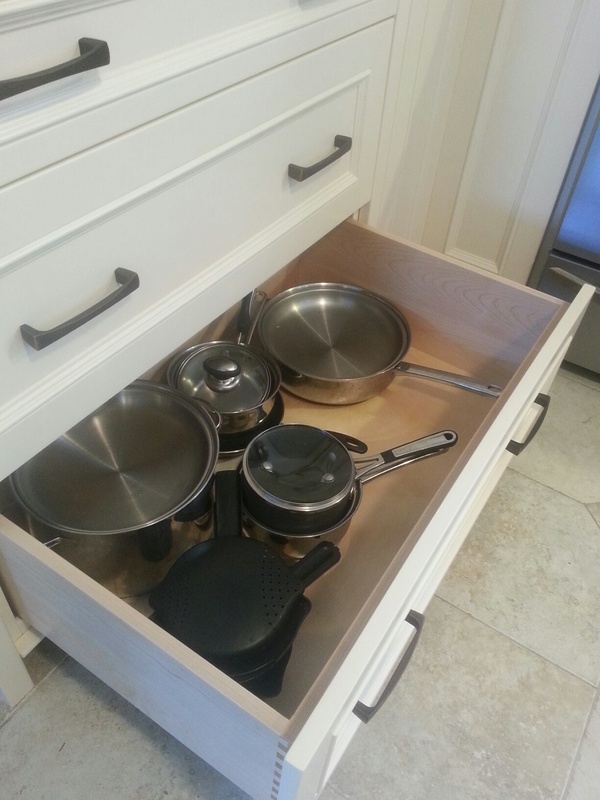 We have access to many, many different items to help organize your kitchen. There are too many to mention here, but you can check out rev-a-shelf.com to see the latest in cabinet organization. We can get whatever you see there! 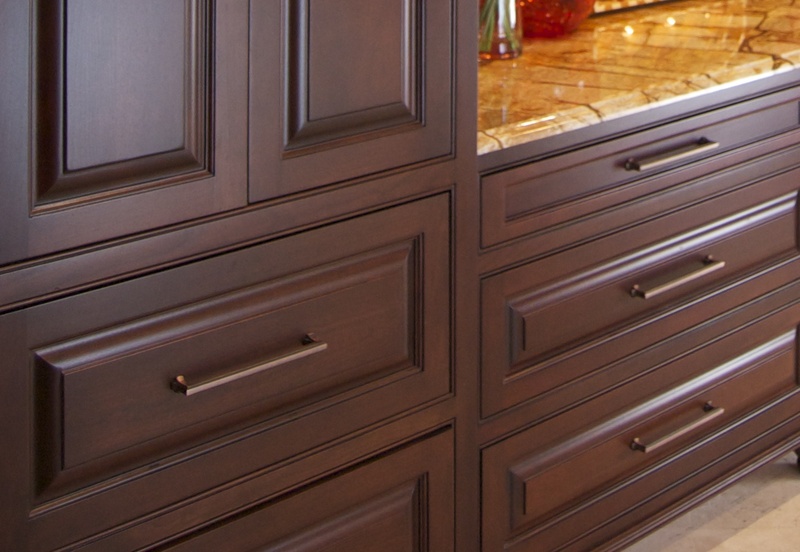 With the concealed hinges we use on the cabinet doors and drawers, no one sees the hardware that makes those doors and drawers close softly and quietly, but you'll know they're there! At no extra charge to you, the soft-close hinges and drawerslides are always what we include on new doors and drawers -if any new drawers are chosen (otherwise, we install the new drawer front using your existing drawer and slides). We have been staining our own cabinets for years and have come up with a formula for applying a stain or dye color to wood to pull out the beautiful qualities while making sure the finish is tough enough to hold up over time. WE OFFER Tresko brand UNDER-CABINET LIGHTING! It's all low-voltage so we can integrate it and install it along with your kitchen cabinet project...no electrician needed for this part!